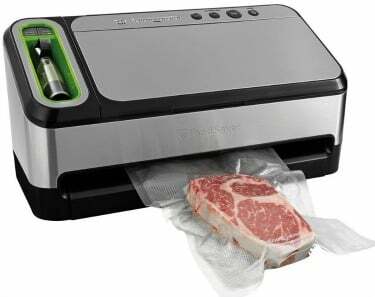 Hurry over to Amazon.com where today only you can snag the FoodSaver 2-in-1 Automatic Vacuum Sealing System which includes a Bonus Built-in Retractable Handheld Sealer, Starter Kit, Heat-Seal and Zipper Bags for just $134.99 (regularly $199.99) with FREE shipping! Ours has been working great and our family loves it! This Amazon best bargain of the day is valid September 7 only and while supplies last.